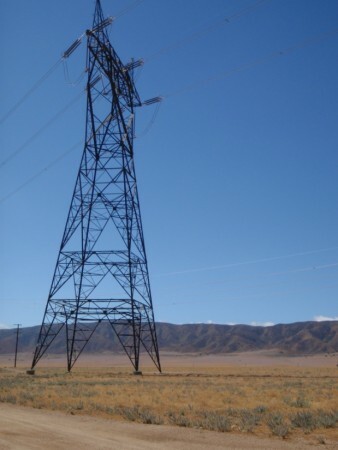 To provide capacity to transmit power generated by planned wind projects in the Tehachapi and Antelope Valley areas, Southern California Edison proposed to construct a new 25.6-mile 500-kV single-circuit transmission line between the existing Antelope and Pardee substations in northern Los Angeles County, California. The proposed transmission line replaces an existing 66-kV line that traverses the majority of the proposed route between the Antelope Substation in Lancaster and the Pardee Substation in Santa Clarita, including approximately 13 miles within the Angeles National Forest. The project includes electrical interconnections at the existing Antelope and Pardee substations, as well as an expansion of the Antelope Substation and relocation of several existing 66-kV subtransmission lines in the vicinity of the Antelope Substation. Under contract to the CPUC, Aspen prepared a joint EIR/EIS for the project. Transmission of wind power from the Tehachapi and Antelope Valley areas had been constrained by the existing transmission line, which would have been overloaded by the addition of new generation. The Antelope-Pardee project was needed to accommodate new wind energy projects that either had applications for approval pending or were expected to submit applications in the near future. However, these wind generation projects could not be interconnected without an increase in transmission capacity south of Antelope Substation. The Antelope-Pardee project allowed these wind energy projects to interconnect to the transmission system and allowed time for future transmission upgrades to be constructed to accommodate more wind generation.